Art gallery walls in residential homes have been popular for generations. Over the past decade, the styling of the art gallery wall has dramatically changed. The once haphazard attempt to make all family photos and heirloom portraits fit on a single wall of the living room has given way to a more streamlined and modern aesthetic. 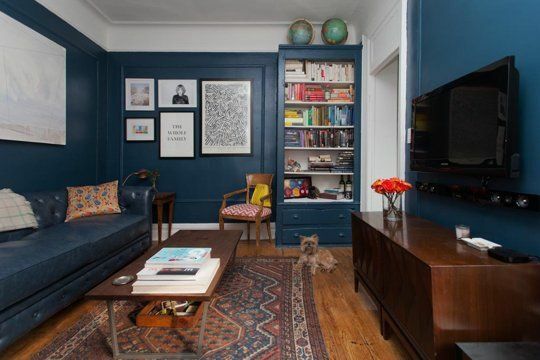 The modern interpretation of the art gallery wall has become balanced, symmetrical, and limited to a particular color scheme. Hanging art is easier than it may seem with a little planning. Learn how to install your own art gallery wall with these 5 Easy Steps To Hanging Art by West Elm. For generations, the basic rule was to start hanging art in the middle of a wall and work your way out to the edge; filling every nook and cranny with oil painting, framed prints and family photos. In a traditional home, this styling is still utilized and looks at home in this setting. 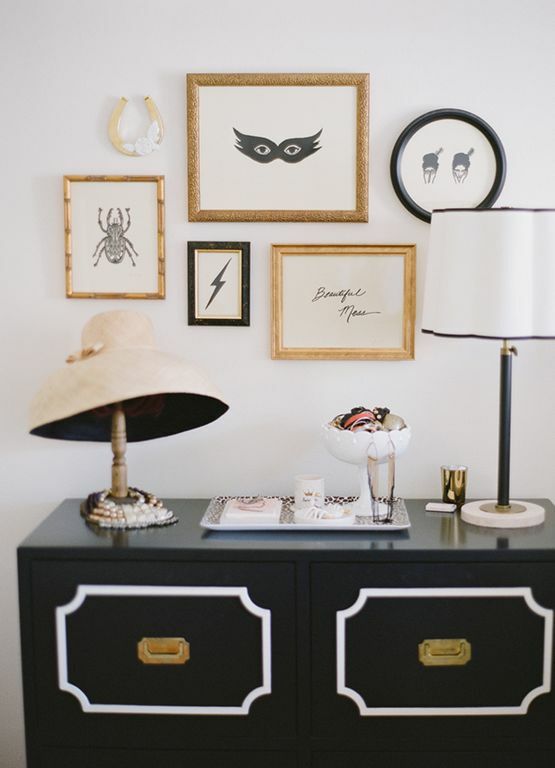 In keeping with the black, white, and gold guest bedroom color scheme, the random art adds a hint of wonderment above the dresser. While kitsch isn’t your best artwork, it is completely appropriate when working with a bold color scheme, placed within matching frames. Who said art gallery walls were to be placed in the living room? 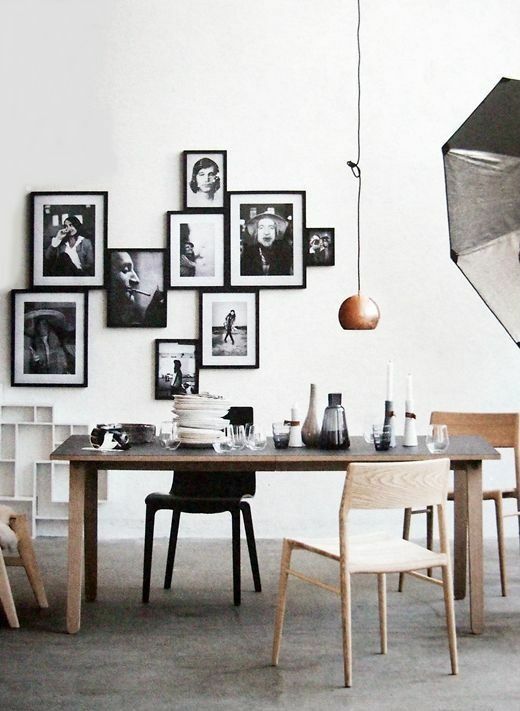 Why not install a black and white collage of family, friends, and the occasional iconic figure above your dining area. It’s like dining out with favorite people every night! This installation is, by far, my favorite! The powder room is such an underused space, so turn it into the most magnificent art gallery in your home. Inspire your company with floor to ceiling art and yes, hang art on the ceiling. 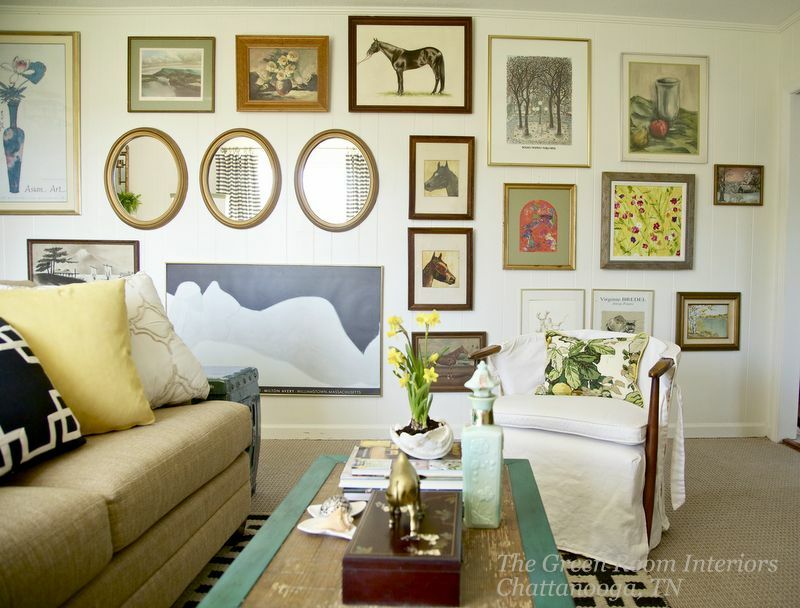 If an entire wall of art isn’t your style, find a small niche that could work as your art gallery wall. Instead of hanging one large art piece, choose five smaller ones to create your personal gallery. Mirrors can replace artwork and still give the look and feel of an art gallery wall. This compilation is less expensive and bounces an enormous amount of light around the room. Mirrors gallery walls are just as impressive as their counterparts.